Whether for international travel, business dealings or romantic relations, in our global society, many of us find ourselves needing to learn a new language. 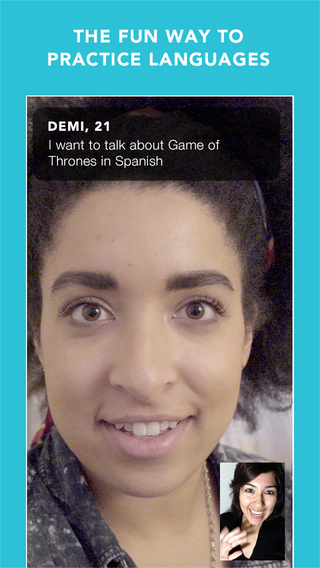 Language apps are big, Duolingo was awarded Apple's App of the year in 2013 and Google Play in 2014. Downloaded over 10,000,000 times, Rosetta Stone is similarly popular. I am an Australian expat living in Germany and struggle with language every day. In this article I will discuss Language app UX, some of the broader issues in language learning using apps and an interview with a language app developer. Hopefully this will be useful to anyone building an educational app for an adult audience. Many people begin learning a second language with enthusiasm, only to fail to attend classes, complete assignments and eventually drop out. Language classes have historically had a high rate of attrition and it's not surprising that software based courses suffer the same fate. In 2008 Jeff McQuillan utilized the 'wear and tear' method of determining how far people have progressed through language learning books borrowed at public libraries. He found that an average reader read less than 20% of each book. A study of Duolingo's Spanish course found that a majority of students dropped out after less than 2 hours of study. Engage with users who drop off. Duolingo has never asked me why I left. For me there were several reasons, ranging from boredom to a need for more grammatical knowledge. I found a few errors in translations and a lack of colloquial expressions which I find useful. I asked around my friendship circle (as I know lots of expats) and the longest anyone had stuck with Duolingo was 6 months. I asked people why and the common responses were the need for more face to face support, grammar and a desire for more colloquial language. Two completely forgot they'd downloaded it and had lost interest quickly. As adults, we don't always like spending our leisure time doing things which are difficult and do not give us pleasure. I'm sure most people would be more likely to check their Facebook status in a few spare minutes than a grammar table. On its website, Duolingo has an 'immersion practice' section as a mean to build community and maintain interest. This is where you can read, translate, edit or vote on documents that other users have uploaded for translation. Whilst the sentiment is good, the language ability required to do this is far beyond most beginners. Engage with beginners and the advanced and their specific needs. 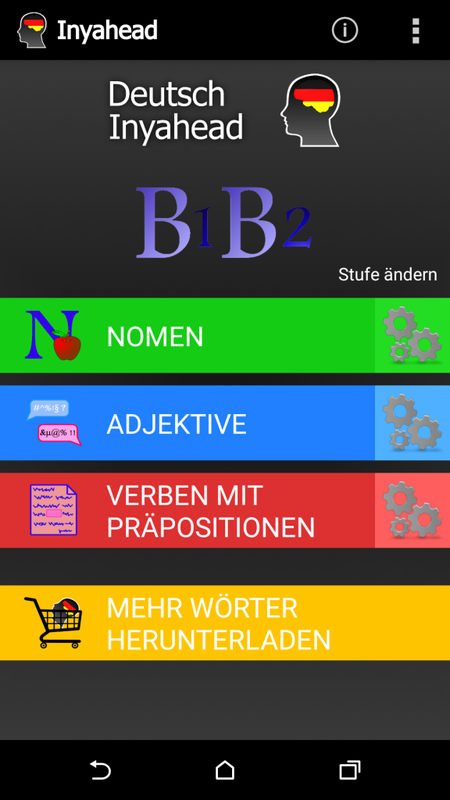 I can speak as a beginner and I know i'm not the only learner who has found children's books, recipe books and supermarket brochures a useful means of learning German, yet I have never seen an app incorporate these types of materials. They contain less text and could suit a range of screen sizes. Whilst the rate of people learning language at degree level has dropped there is still a need for credible language tuition. Research suggests that a beginner learning Spanish would take on average 26 to 49 hours of study with Duolingo to cover the material for the first college semester of Spanish. Consider the needs of a range of audiences. These could include children, expats, people in business and people at different levels of schooling. Since 2012 James University has offered Spanish online through Rosetta Stone. Whilst it's worth debating online language courses versus real time classroom interaction, there is scope for language app developers to look at a range of audiences. I believe one of the reasons people lose interest with language apps is when the app is no longer helpful or engaging. I interviewed Paul King, creator of InYaHead, an app available in English and German that is part vocabulary trainer and part word fragment game. The idea derived from flashcards, a common tool for language learners. I myself, have first hand experience of creating my own set of flashcards for words I needed to learn and remember but usually, the flashcards got tidied away to be never seen again, until a clean out of my desk. Paul stresses that his app is for learning written vocabulary, not speaking and listening. 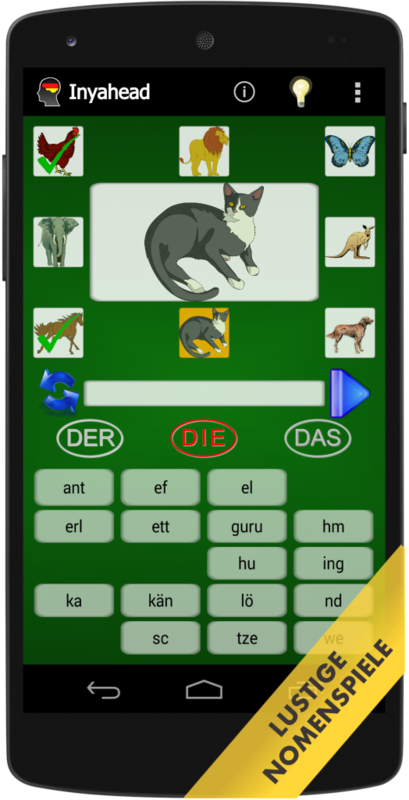 I opened the app and was first asked to identify animals in German, something which, unless I am visiting the zoo, is of little use to me. Create a means for users to use your tools in response to their specific needs. For example, Paul is already creating a solution to this with the next version of InYaHead. This will be the ability to add your own words to the flash cards. This is something I will find useful because I have words that I should use in everyday life but am always forgetting. Although I haven't got that far, Paul's apps include idioms which are useful to those of us seeking less formal language. Consider for example a sentence like 'are you hot?'. In English it can have a multitude of meanings depending on the context and people in the conversation. Even animated word games can get boring quickly. Language is immersive and it's many forms can be tools with language learning. Some of the newest and most successful language apps are those which incorporate real time face to face tools,. For example Busuu that enables users to learn words and phrases, then practice with native speakers via an integrated video-Â­chat application and peer-to-peer text corrections. 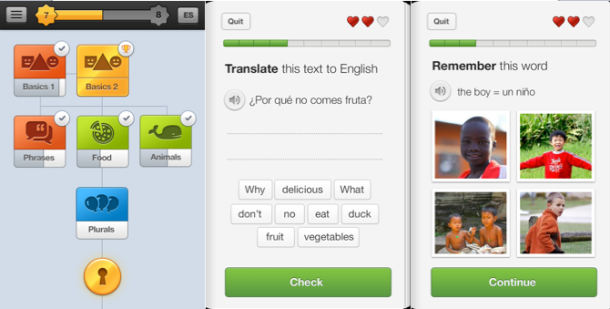 Linqapp enables users to ask any question by text, picture or audio and strives to 'put a native speaker in your pocket'. For those who want to give back as well as learn, Tandem Language Exchange is a great way to achieve this. I used to work at a community centre where refugees would learn English in the room across the hall. One teacher was an enthusiastic singer and they'd often learn through singing. 'Do Wah Diddy' was particularly popular. I'm waiting for an app which incorporates the songs of Eurovision. I spoke to Paul about his experience in marketing his app. A language learner himself, his prototypes were tested in real language learning classrooms. But he struggled when it came to marketing. Although Facebook is a great free means to access language learners (including expats) advertising in such groups is becoming increasingly unpopular. Continue to go where your users are. If you have a paid app, consider affiliate marketing on expat blogs. Liaise with language teachers and translators (who often associate with expats and learners). For those living abroad, consider international companies, expat chambers of commerce and other professional networking associations like Internations. "As a developer, but not an linguist, I'm not sure where to start"
Enlist the help of native speakers. Start using relative layouts and make everything percentage based. Keep everything modularized and separated so that you can reuse components and only have to make changes in one place. I hope any of you considering creating an app with an education focus have found this article useful. If you have any of your own advice or experiences, please let me know in the comments below. Cate Lawrence is a Berlin based writer and blogger who spends her spare time cooking and teaching her cat to chase a red dot.